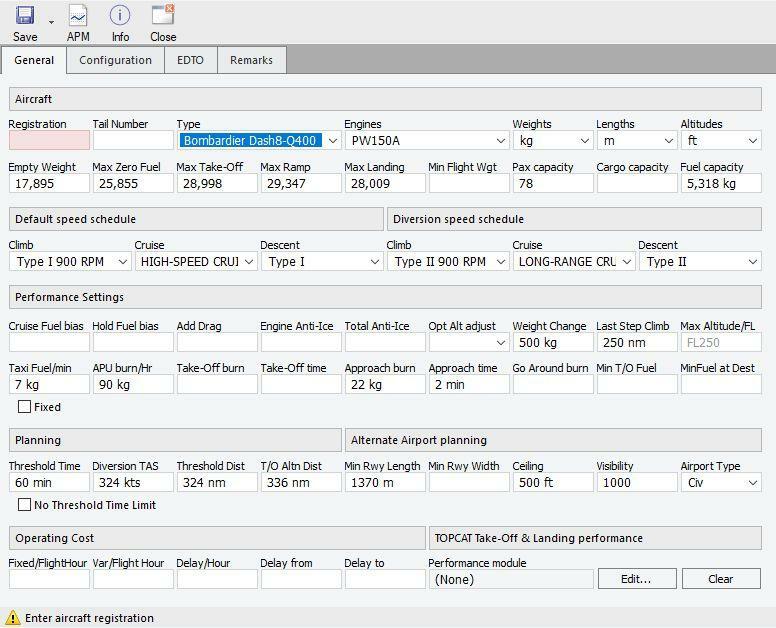 I have downloaded the Q400 .per file from Airliners Performance but PFPX does not list it in the dropdown for adding an aircraft. Confirm the Q400_v1.00.per is placed in AircraftTypes. Yes, the Q400.per is in C:\Users\Public\Public Documents\PFPX Data\AircraftTypes and renamed, as suggested by Mykyta, without the v1.00 part. In the Aircraft List window I then Add a New Aircraft (not New fromTemplate) but the dropdown does not list the Q400. 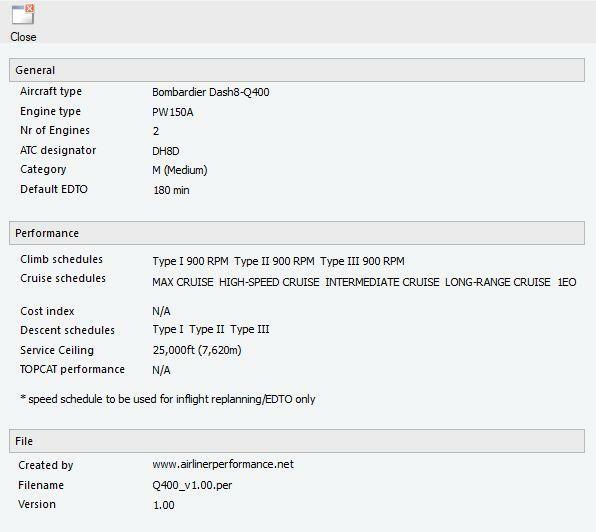 But since raising this issue I realise that there is already a Bombardier Dash8-Q400 present in PFPX v2.03 as released (shown in your picture). So my query remains unresolved but at least I can plan a Q400 flight. My original problem with the downloaded Q400_v1.00.per from AirlinerPerformance.net has become unnecessary as I now realise that there is the Bombardier Dash8-Q402 already present.